There are lots of things that review sites should rank hotels on, but don’t. Is it known for bed bugs? Is the “heated pool” only heated during summer when the sun is out? How many ghosts live there? How fast is the WiFi? This site won’t help you with all of those, but it will help you with that last one. Bad WiFi might as well not exist, but most hotels don’t really seem to care about connectivity quality. As long as they can check that little “WiFi Available” box on the amenities list, they’re happy. Sure, you’re paying $400 bucks a night — but you want to stream Netflix? Get outta here. Worse yet, the larger a hotel is, the more space they have to cover, and the more people they’ll have trying to cram onto the same poorly configured network — so counter intuitively, bigger/fancier hotels always seem to have worse WiFi. Thats where Hotel Wi-Fi Test comes in. 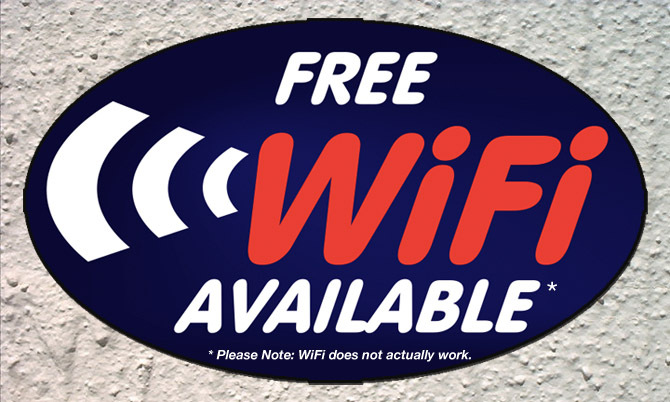 As the name implies, Hotel Wi-Fi Test encourages its users to go to hotels and… test the WiFi. If you’re currently in a hotel, it can automatically pin down your location and help you run a speed test. While the above site seems to be getting bigger quick thanks to a recent burst of buzz, an alternative (spotted by Giz) called SpeedSpot seems to have been around a bit longer and thus has a bigger database. Alas, it doesn’t do quite as good of a job of letting you know if the WiFi is free or paid — and given that some of these places will try to hit you up for upwards of $30 a day, that’s important to know.